It does not happen often, but coverage mistakes do occur. Get an idea of what you can do if you think your car insurance provider has made a mistake. Seriously, it can be a potential nightmare. You are a conscientious, responsible, defensive-minded driver. You have studiously maintained your auto insurance, never once letting your coverage lapse. You have never been late on a payment. On top of that, you’ve never even been in an accident or submitted a claim. Until now, that is. You experienced a small attention lapse while approaching an intersection and, well, you rear-ended the car directly in front of you. Fortunately, no one was injured and the damage to the two vehicles was minimal. Still, it’s going to require some costly body work. No problem, you think, as you dial your insurer to file a claim. Then it happens. The agent on the other end of the line informs you that your vehicle is no longer listed on the policy and that you are not covered! You know that’s not possible. The insurance company must be mistaken. You ask the agent to check again. It’s no use. The agent insists that you are not covered. What do you do now? Let’s start with the obvious. It is important that you fully understand what is covered by your auto insurance policy before you purchase it. Read it carefully and make sure to ask your insurance agent to explain anything that you don’t understand. Once your policy is in place, go over it again to make sure that there are no unexpected mistakes or gaps in coverage. If you find a minor error (such as a misspelled name or address, or a small error in the make or model identification), you can usually fix the problem with a quick call to your agent or insurer. If the mistake is more substantial (something that may significantly alter your coverage or payment rate), contact your agent and set up a face-to-face appointment. This is a problem that you need to solve immediately, so don’t put it off. Your insurer needs to know about the error as soon as you do. If a vehicle that you thought was covered is not, make sure that you do not drive it, or allow anyone else to, until the mistake is corrected. This is crucial. Getting into an accident when your coverage is in doubt will, at the very least, lead to a major headache and could result in a much more serious problem. When you’ve been in an accident. As you might expect, resolving a potential mistake regarding your auto policy can get a bit sticky after an accident has occurred, particularly if the accident causes substantial damage. Your first contact should be with your agent. You can give him a call, but make sure to put the details of your dispute and any discussions you have in writing. If you cannot come to a satisfactory resolution at this point, it may be time to speak with an attorney. Make sure your lawyer clearly understands the specifics of your dispute and exactly why you believe that the error is the fault of the insurer, not you. 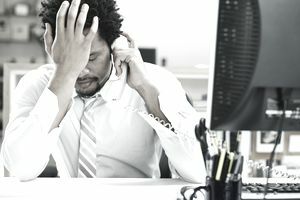 If the dispute has to do with the money amount of a recovery, you may be able to hire your own appraiser to counter the insurer’s numbers. In any event, you will likely have to go through a mediation or arbitration process to resolve the disagreement. I don’t have to tell you that life is full of mistakes. They’re going to happen because, let’s face it, we are all human. And believe it or not, that applies to the folks who work at your auto insurance company, too. The key is to eliminate or minimize any damage those mistakes can cause, and the best way to do that is to catch them as early as possible. Can You Save Money By Insuring Your Car in Another State?